Discover the heart of the city. Ascend Table Mountain by cable car. Meet the pioneers of the Oranjezicht City Farm. Look around the colourful Bo Kaap quarter and buzzy Bree Street. Sample Cape Malay specialities in historic Heritage Square. See iconic art and design in the V&A Waterfront. Full day around the Winelands. 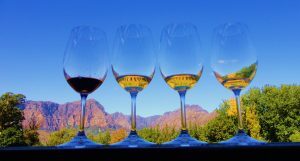 Highlights include visiting venerable wine estates, a wine tasting at Vergelegen, an olive oil tasting at Morgenster, the town of Stellenbosch, lunch with a view on Tokara estate, and the sculpture-filled gardens at Delaire Graff winery. 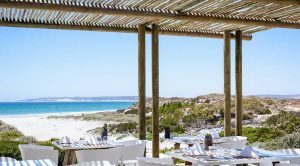 Head north to Langebaan’s rustic restaurant Die Strandloper for a relaxed lunch on the beach of fresh seafood cooked straight off an open braai/barbecue. Meaning ”the beach comber”, the name references the indigenous Khoi people of the Cape. Dinner is at your leisure in the quaint fishing village of Paternoster that lies on the unspoiled West Coast. Stay at The Standloper Ocean, a 5-star boutique hotel, for two nights on a bed and breakfast basis. Explore the village. Experience West Coast aesthetic and distinctive Strandveld cuisine. Engage with master forager/ chef Kobus van der Merwe, whose roots sparked his interest in forgotten foods and the importance of honouring the environment. Lunch at Wolfgat his idyllic beach cottage restaurant, over a 7-course taste-expanding menu. Dinner is in-house, at Leeto restaurant, the brainchild of renowned chef Garth Almazan, where the emphasis is contemporary West Coast cuisine. Travel back via a heritage centre showcasing San /Bushmen culture and their threatened way of life.The name !Khwa ttu means ”water hole” in the language of a now extinct First Nation tribe. 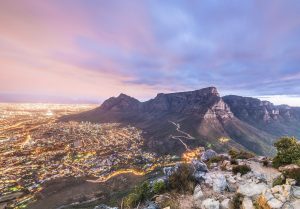 Find out about some of their culinary specialities and lunch here, before heading to Cape Town airport for your connecting flight or onward safari.